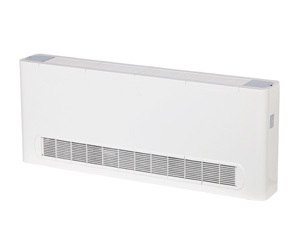 The streamlined appearance harmonises the unit with any given room’s interior decor. It can easily be mounted in corners and narrow spaces, an ideal solution for commercial spaces with narrow or no false ceilings. 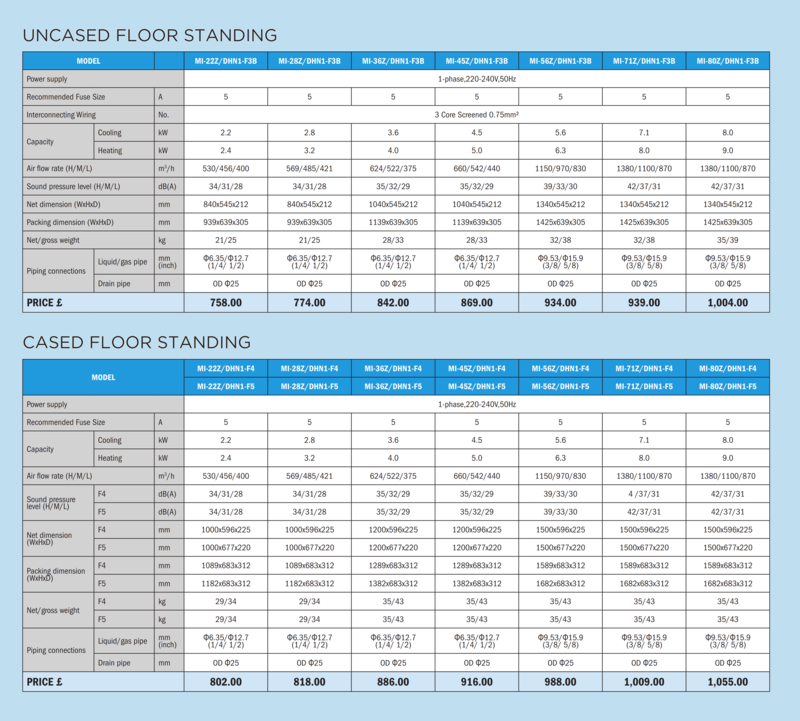 Floor standing types can be hung on the wall or installed on the floor. The floor type unit can make cleaning and maintenance much easier. Running piping from the rear allows the unit to be hung on walls. Cleaning under the unit, where dust tends to accumulate, is considerably easier.